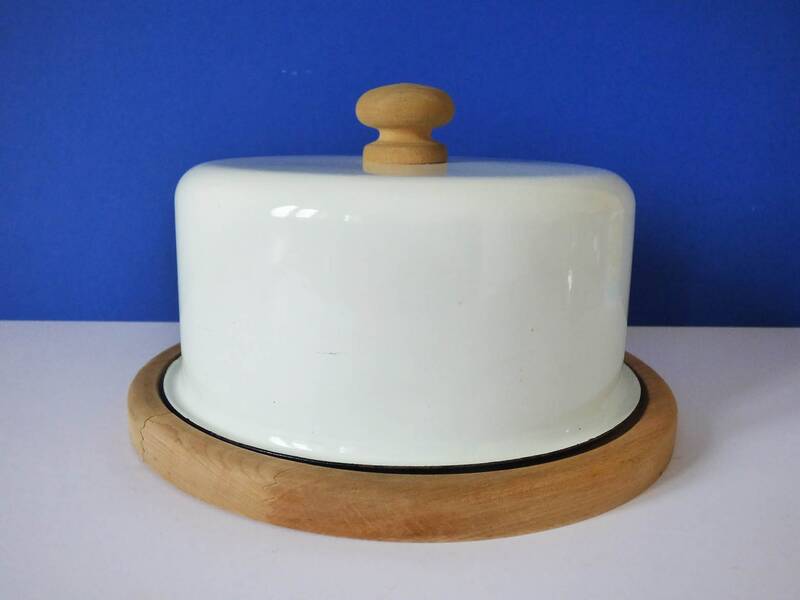 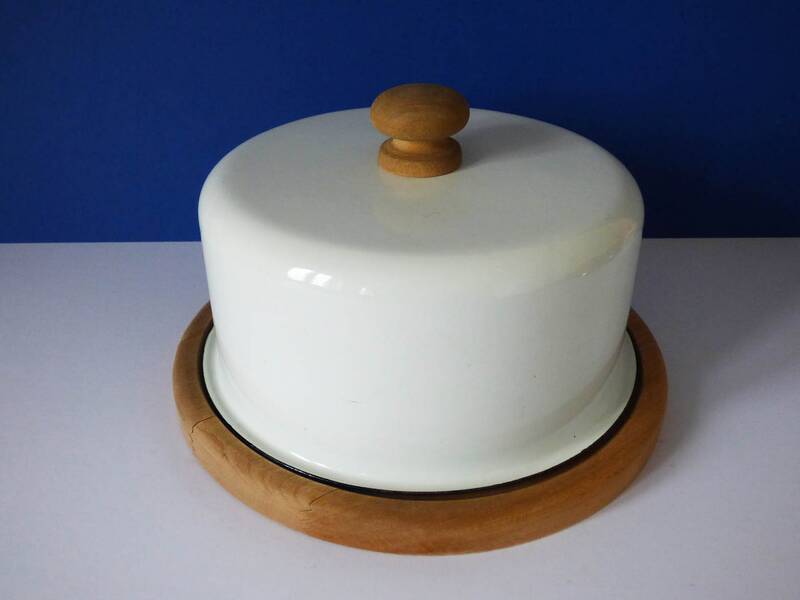 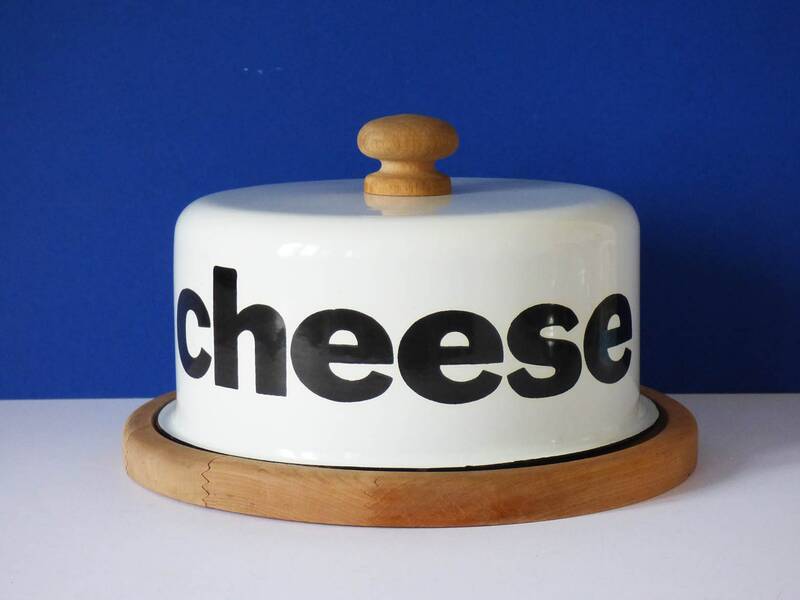 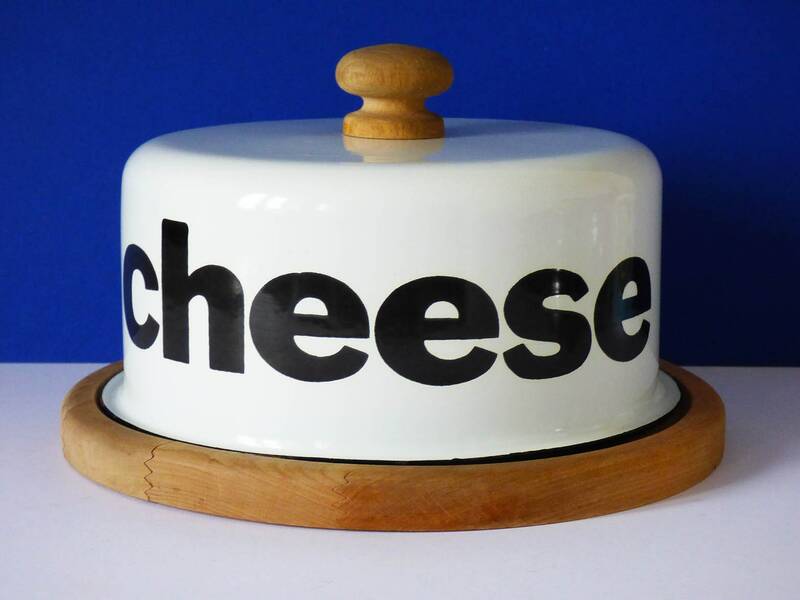 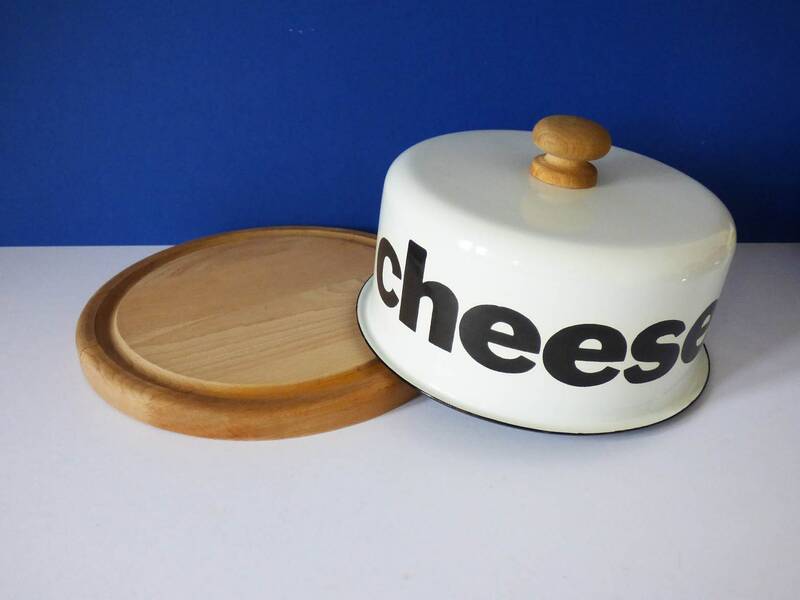 Totally Cheesy, there's no mistaking what this is, this wonderful enamel cheese dome is in great condition, its size means its great for dinner parties & true cheese lovers... you can get a good selection of cheeses under the lid. 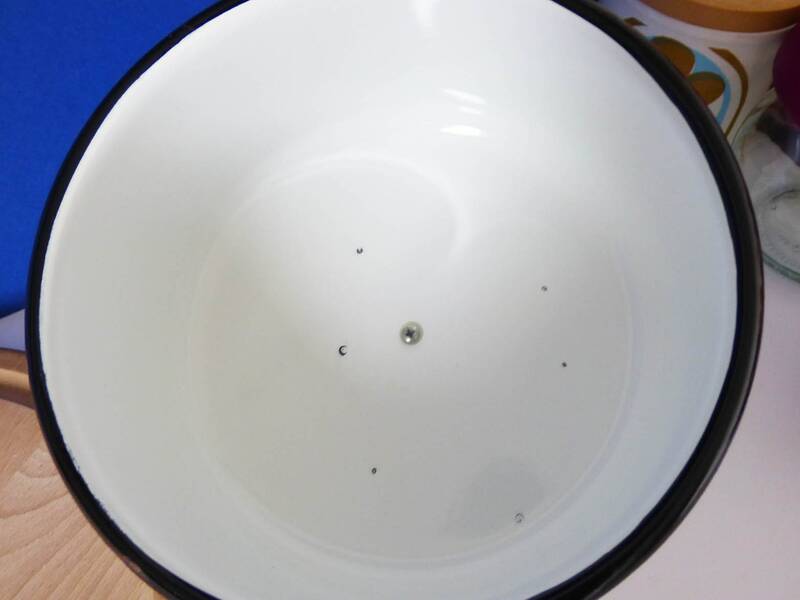 Measuring 25cm in diameter & 14cm tall. 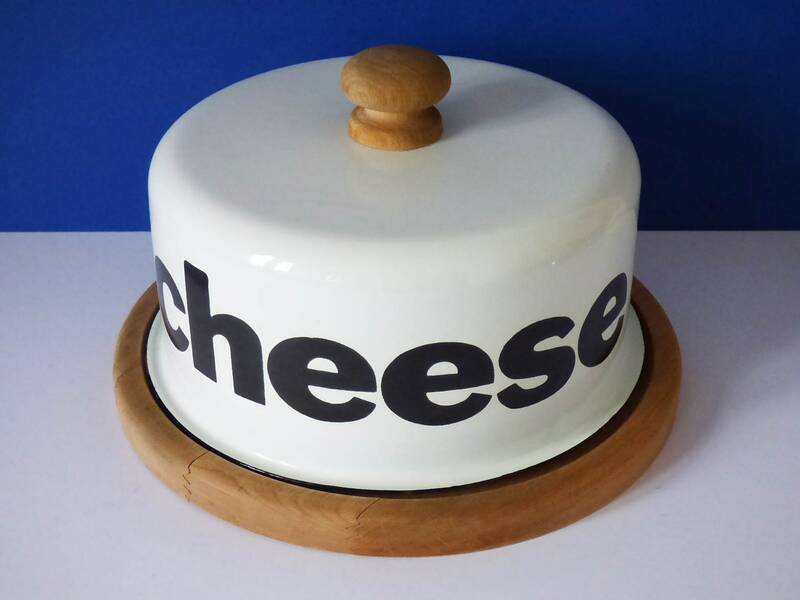 Sorry about the postage charges it weights a whopping 1430 grams. 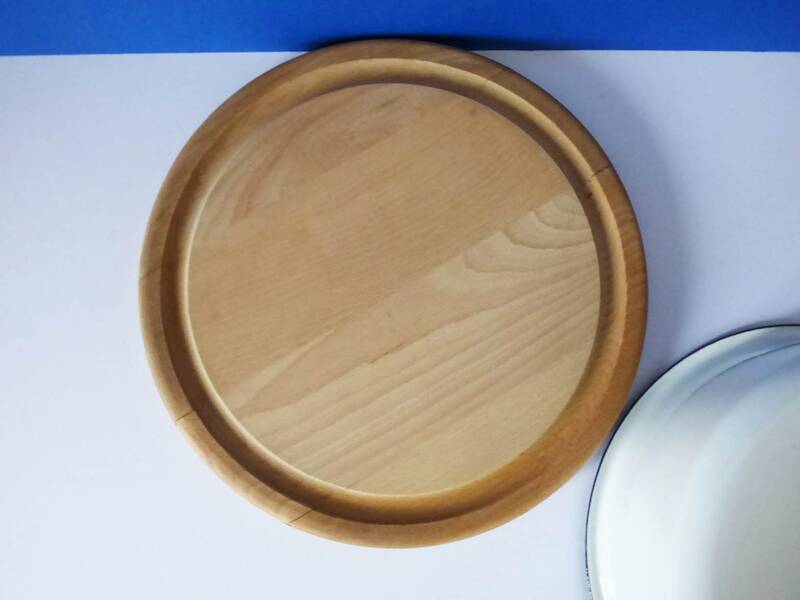 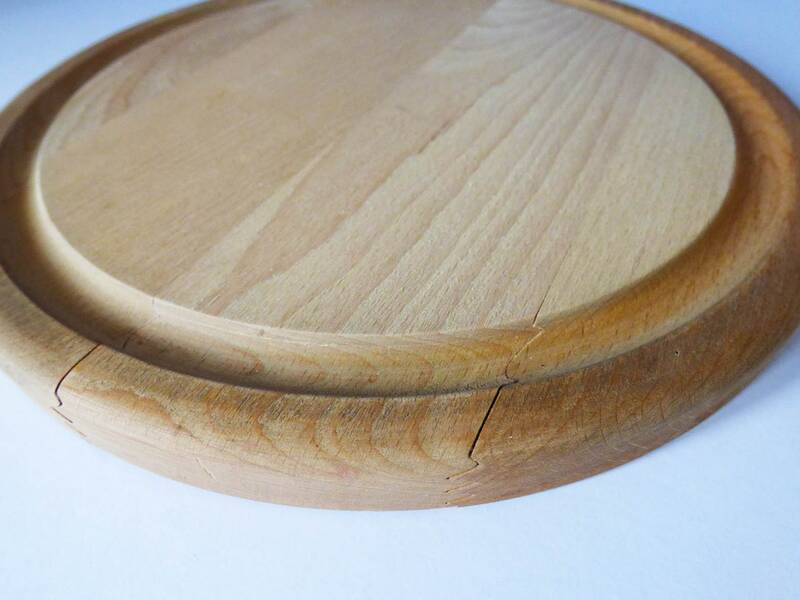 The condition is very good, with no chips or damage to the enamel, however there is a small split to the glued panels of wood which make up the board part, you can see this clearly in the photos provided, the small spit does not appear to be going anywhere, however I recommend not putting the base in the dishwasher to prevent further damage.